The 800-year-old Smithfield Market could close under plans to merge the City's three wholesale markets on a 100-acre super site outside the Square Mile. 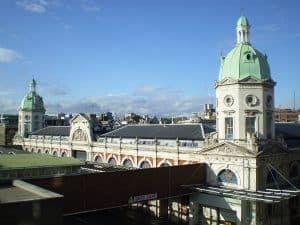 The historic Smithfield Market could be on the chopping block after the City of London Corporation revealed plans to merge the 800-year-old meat market with its two other wholesale markets on a 100-acre super site outside the City. 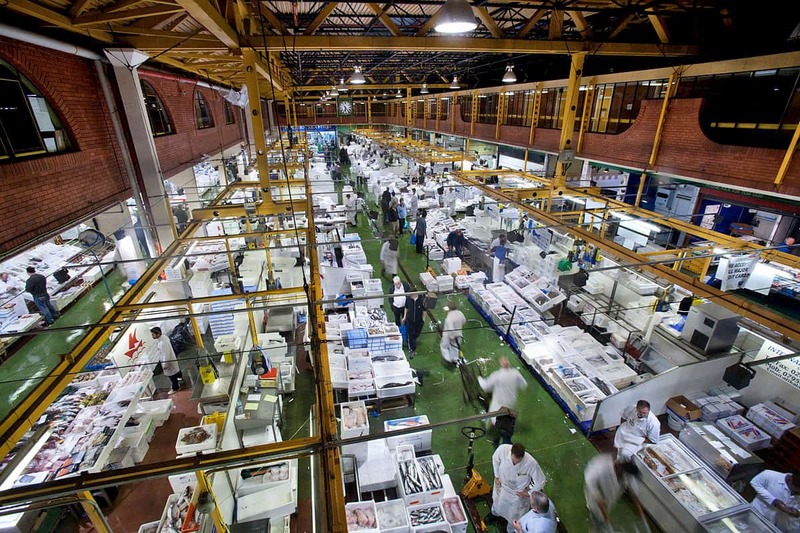 The Billingsgate, New Spitalfields and Smithfield market sites all face closure according to a strategic review released on 1 August that argues for the consolidation of the City’s wholesale venues to ensure their future operations. The City Corporation said it has agreed “in principle” to close the Smithfield site north-west of the City, subject to a feasibility study and consultation with vendors. The search has already begun for a 100-acre super site to house facilities for the Billingsgate fish market, which was moved from the City to Poplar in the 1980s and New Spitalfields fresh produce market, which relocated to Leyton in the 1990s. Billingsgate fish market in Poplar. Commercial property consultancy Lambert Smith Hampton has been appointed to undertake the search for a site. The Corporation’s announcement comes less than a month from Smithfield’s Bank Holiday anniversary festival celebrating 150 years of the current setup of covered Victorian market buildings that house more than 30 butchers and traders. There has been a market on the Smithfield site since the Middle Ages, and it is the largest wholesale meat market in the UK. The Corporation’s markets committee greenlit the proposals following a strategic review of all three markets earlier this year, however the move would also require parliamentary approval. 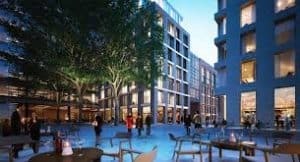 Both Billingsgate and New Spitalfields were earmarked as potential residential development sites under the Corporation’s Project 3,000 strategy to build 3,000 homes across its existing property portfolio over the next decade. A leaked progress report presented to the Housing Delivery Programme Working Group at the beginning of the year suggested the Billingsgate site had potential for 1,500 new homes, and 1,200 for New Spitalfields. 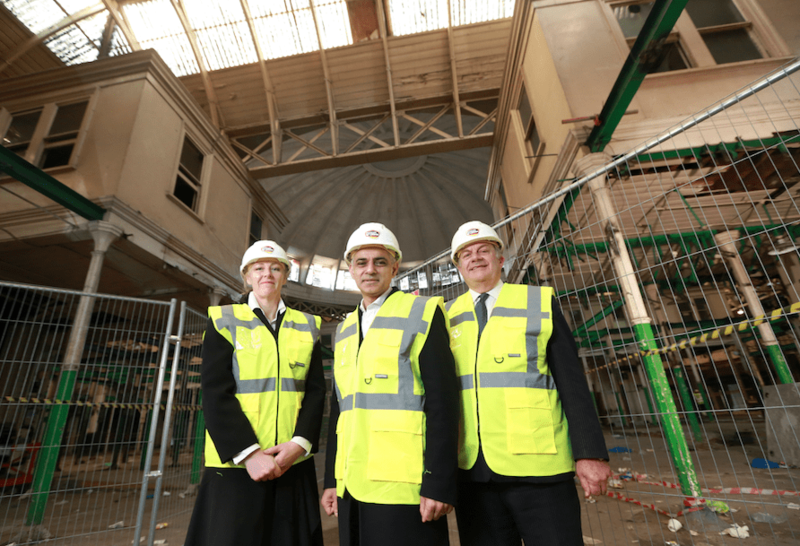 Museum of London director Sharon Ament, Mayor Sadiq Khan and former City of London Corporation policy chairman Mark Boleat at the West Smithfield site. The Museum of London is already poised to take over some of the historic market buildings at Smithfield, securing £180million to fund a move from its current Barbican site from the Corporation and the Mayor of London in January last year. A spokesperson for the City Corporation would not elaborate on plans for the three sites, but confirmed a business case for the scheme is already in development and it would soon start consultations with stakeholders such as traders, the Greater London Authority and Historic England. Once a site has been identified, the business case, along with consultation outcomes, will be considered across City Corporation committees for final approval.